✅ HIGHLY ABSORBENT - Never let perspiration disrupt your workout or game again! No matter how much you sweat, our headbands are up for the task, while keeping your hair off your face and neck, and protecting your shirt and hat from sweat stains. ✅ LIGHT AND COMFORTABLE - While some head bands pull too tight or get in the way, ours are lightweight and designed to stay in place through any activity or sport. The fabric is so breathable and functional you might even forget you have it on. ✅ TRENDY - Headbands are “in” for athletic men. Ours are made of stretchy fabric that's holds up through any use. You'll look stylish grabbing coffee after yoga, going out after the game—or just covering up a bad hair day. Women love wearing them, too! 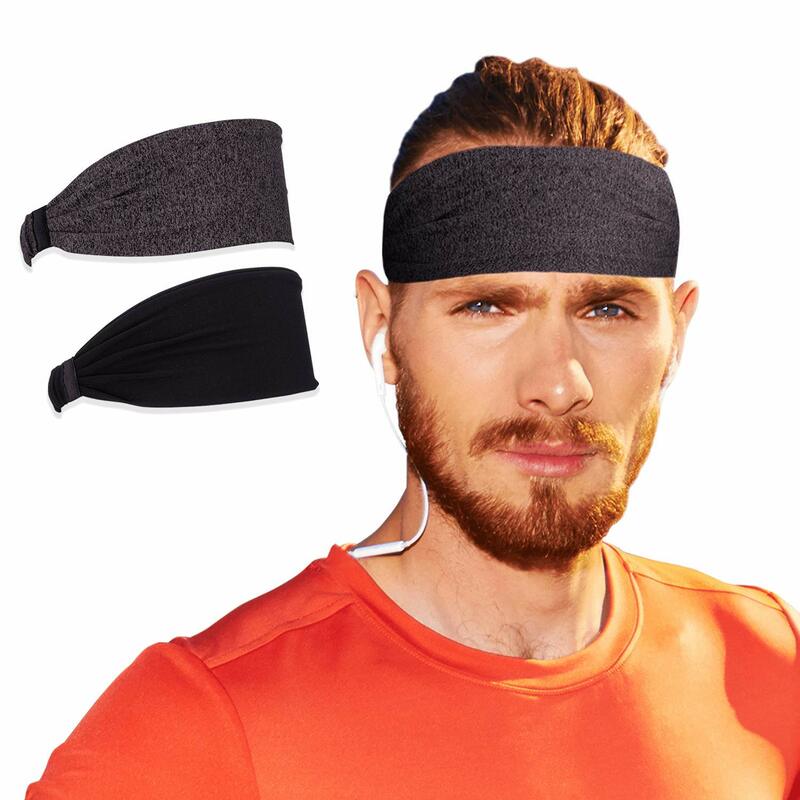 ✅ VERSATILE - Whether you enjoy running, crossfit, baseball, basketball—or you're an all-around exercise fanatic, this sweat band is a perfect choice. It's also useful for activities like working around the house, walking the dog, or just hanging out. ✅ MONEY BACK GUARANTEE - All Elli Store products are returnable within 30 days for a full refund. If you're not satisfied by the fit, material, or performance of our head bands for men, send them back—no questions asked.